It should be known I never really do well with coloured mascara. Most of the time the formula sorta works out but I don’t really get the colour I’m looking for. The colour pay-off is usually mediocre at best on my dark lashes and I usually end up disappointed. I have yet to find a formula that delivers colour well even on dark lashes! With my green eyes I decided to get I’m The Craze Purple as purplish shades are nice complementary colours. I was lucky that I also got a sample size of I’m The Trouble Blue as well. So I will be reviewing these two colours. This liquid lash color frames eyes with high-impact color like never before without compromising the sleek volume, definition, and curl you crave. With shocking color from root to tip, these high-sheen vinyl mascaras ensure lashes make a strong statement. A revolutionary, intense, and super shiny formula that gives lashes length, volume, and curl with deep, saturated color. Mascara Vinyl Couture is infused with notes of mandarin, jasmine, and vanilla for a subtle scent. 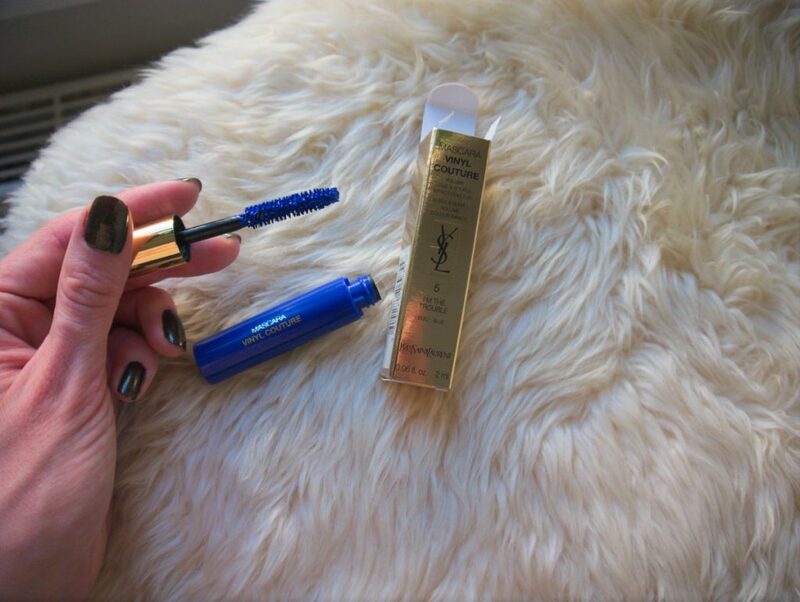 The mascara comes in the typical gold YSL casing. The bottle itself comes in a see-through vial which is rather pretty. Incidentally, I was wearing Art Deco ceramic nail lacquer on my nails when swatching which matched the Craze purple pretty well! The brush is not molded silicone but a traditional brush. It has dense, short bristles and does a good job even picking up the fine lower lashes. You can see the sample size below. No7 Craze Purple: Disappointing on dark lashes. Even with several coats I couldn’t see any colour. I don’t have a picture of this as you couldn’t see anything but believe me, there was NO purple anywhere to be seen (not that I had been expecting that much) but for a price tag of $29 one might have hoped for a formula that actually works on something other than blonde lashes. 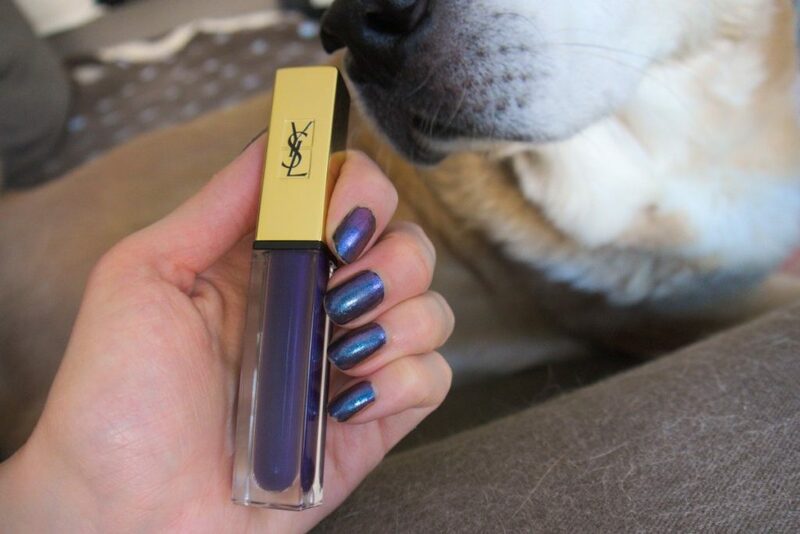 The wearing picture of this colour from YSL as you can see it at Sephora here for instance is nothing like it looked on my lashes, which was just plain dark with no purple. This might be a totally different story if you have lighter lashes though! No5 Trouble Blue: This one on the other hand, was a full success! The blue comes out really nicely on my lashes. I used two coats in these swatches but in real-life it looked much more vivid (sorry for the crappy picture quality of the close-ups). 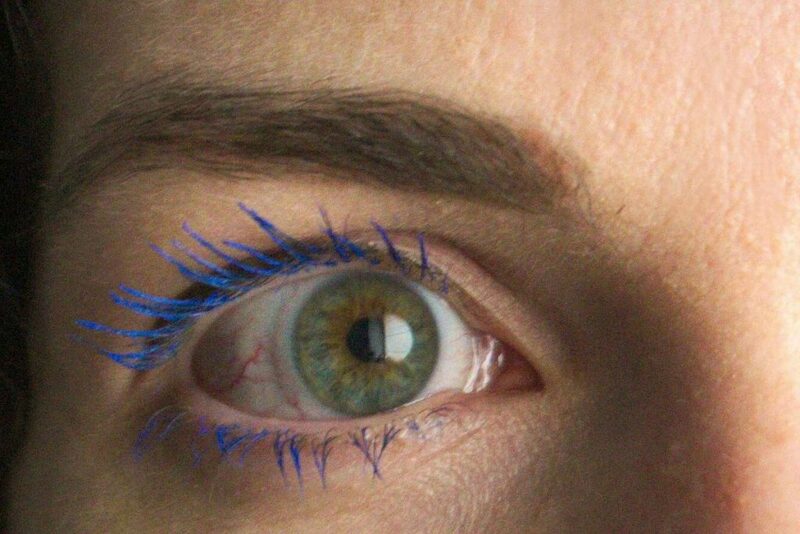 I’m wearing Lancôme Hypnose in Black on my right eye for comparison in the photo below. The blue was so visible I even got comments from my colleagues at work! I am actually very happy with this colour and glad that I got this as a free sample. I will definitely be using this when I want a fun colour accent (never mind the retro aspect, it can look very 80s). Verdict: I guess it strongly depends on the shade of colour you go for and the effect you want to achieve whether you’ll like this product or not. I was hoping for a strong effect on my lashes so I’m the Craze was disappointing. Lash separation and lengthening properties were good though and the quality was appropriate for the price. The price is relatively high of course, so unless you are after a particular colour or a fan of YSL you might want to go for cheaper alternatives. The blue shade I’m The Trouble I can fully recommend though. It’s vivid and expressive. Pink (I’m The Madness) and Hazel (I’m The Illusion) would interest me as well…I’m not sure that I’m willing to spend $29 again just to try these shades however. At least not without knowing whether the colour pay-off will be worth it. How many of you would rock coloured mascaras? Have you tried any of these shades yet? Do you have a favourite colour? Let me know in the comments below. Wearing Art Deco ceramic nail lacquer in 382 as a top coat over Essie bobbing for baubles on my nails. For Europeans and Germans in particular: You can get it at Douglas, Breuninger or Flaconi for about €28 – €32. Douglas and Flaconi still have a special on where you get a free sample size of the Blue shade when you buy one regular sized shade. Ich habe ein seltsames Faible für farbige Wimperntusche. Hin und wieder fände ich so einen farbigen Akzent auf den Wimpern ganz erfrischend und habe daher schon so einige farbige Mascaras ausprobiert. Leider nur mit mäßigem Erfolg. Aufgrund meiner grün-braunen Augen habe ich mich für die Farbe I’m The Craze Lila entschieden. Besonders gefreut habe ich mich über die Gratiszugabe von I’m The Trouble Blau in Probiergröße. Die Mascara kommt in der YSL-typischen, goldfarbenen Umverpackung, die ich persönlich etwas zu opulent finde, aber das ist Geschmackssache. Der eigentliche Mascara Flakon ist teilweise transparent und man kann die jeweilige Farbe sehen. Das wiederum finde ich recht ansprechend. Die Bürste ist klassisch mit kurzen Borsten, die auch feinste Haare am unteren Wimpernkranz erreichen können. 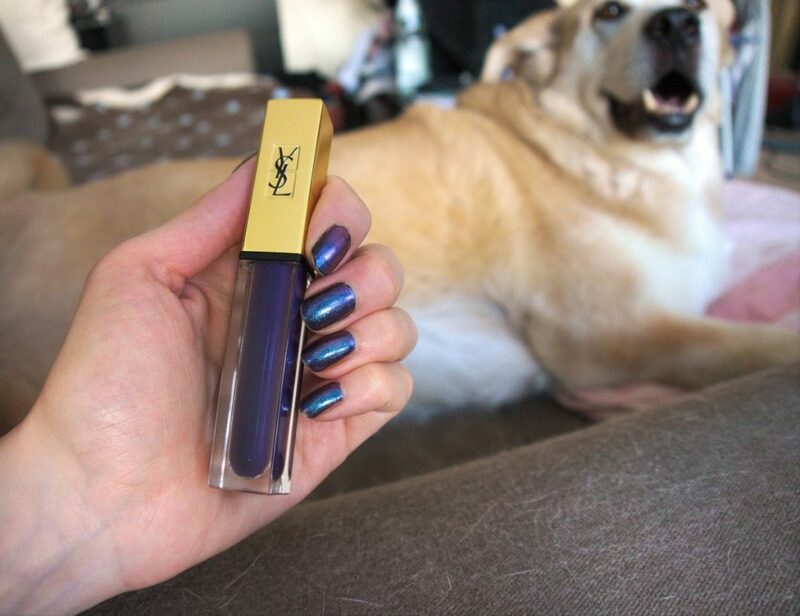 No7 Craze Purple: Die Farbe von der ich mir einen so schönen Effekt erhofft hatte, vor allem wenn man nach den Tragebildern von YSL geht, die es beispielsweise auf der Sephora Website hier zu sehen gibt. Leider war das Ergebnis absolut enttäuschend. Von dem versprochenen Lila konnte ich wirklich gar nichts auf meinen von Natur aus dunklen Wimpern erkennen (weshalb es hiervon auch keine Tragebilder gibt). 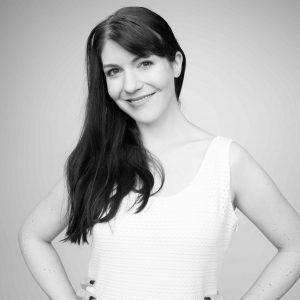 Sie sahen einfach nur dunkel getuscht aus, aber in keinster Form besonders, geschweige denn farbig. No5 Trouble Blue: Dieses Blau hingegen war ein voller Erfolg mit toller Farbintensität in einer Stärke, wie ich sie mir gewünscht hatte! Ich habe die Mascara ins Büro getragen und von meinen Kolleginnen sehr positive Kommentare erhalten. Vor allem war das Blau wirklich ausdrucksstark und den ganzen Tag über gut zu sehen. Der Effekt ist natürlich ein bisschen 80s, aber mir gefällt die Farbe wirklich gut und ich freue mich, dass die Probiergröße das sonst eher ernüchternde Erlebnis mit dieser teuren Mascara doch noch rausgerissen hat. Für die Tragebilder habe ich jeweils zwei Schichten aufgetragen. Die blaue Mascara I’m The Trouble kann sich sehen lassen. Ich war mit dem Farbergebnis absolut zufrieden und werde sie gerne weiter verwenden, wenn mir der Sinn nach etwas Farbe steht. Auch Volumen und Verlängerung der Wimpern waren zufriedenstellend bis gut. Man kann problemlos auch feine Wimpern erreichen und gut vereinzeln. Die Qualität ist durchaus überzeugend, dafür ist der Preis von etwa €32 aber auch ganz schön stattlich. Es kommt also sehr auf den gewünschten Effekt an, ob man mit der Vinyl Couture Mascara gut beraten ist oder nicht. 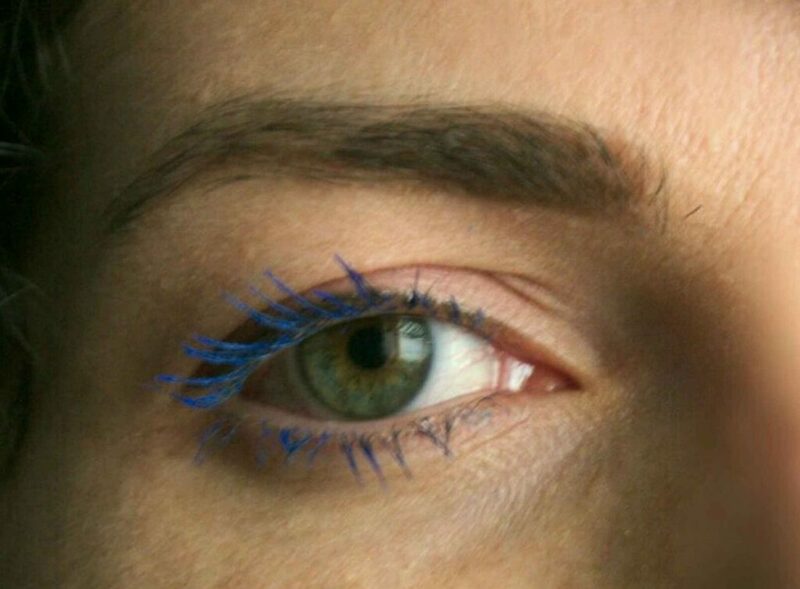 Bei hellen Wimpern sieht die Sache wahrscheinlich auch anders aus, aber bei meinen dunklen Wimpern, konnte I’m The Craze Purple leider gar nicht überzeugen. Und ich befürchte fast, dass einige der anderen Farben auf dunklen Wimpern auch nicht wirklich gut zur Geltung kommen. Mich würden zwar auch die Farben Pink (I’m The Madness) and Hazel (I’m The Illusion) interessieren, aber ich weiß nicht ob ich bereit wäre noch einmal €32 zu bezahlen um dann nicht sicher zu sein, ob man die Farbe bei mir überhaupt sieht. Denn nur für Verlängerung und Volumen gibt es sicherlich qualitativ gleichwertige, wenn nicht bessere, Mascaras für wesentlich weniger Geld. Also kein unbedingtes Must-Have. Habt ihr schon eines dieser Produkte ausprobiert? Wie steht ihr zu farbigen Mascaras? Was ist eure Lieblingsfarbe? Es gibt die Mascara bei Douglas, Breuninger oder Flaconi für etwa €32 zu kaufen. Tip: Bei Douglas und Flaconi gibt es momentan noch I’m The Craze Blue in Probiergröße als Gratiszugabe! Japan ist ein absolut faszinierendes Land, dass ich sehr zum Reisen empfehlen kann! Ich war wirklich begeistert. Und ich glaube, dass es kaum noch ein anderes modernes Land gibt, in dem man so einen Kulturschock bekommt… war ein großes Abenteuer! Perfect review doll, great color! I don’t do blue mascara but you pull it off and it looks amazing on you. Great brand. 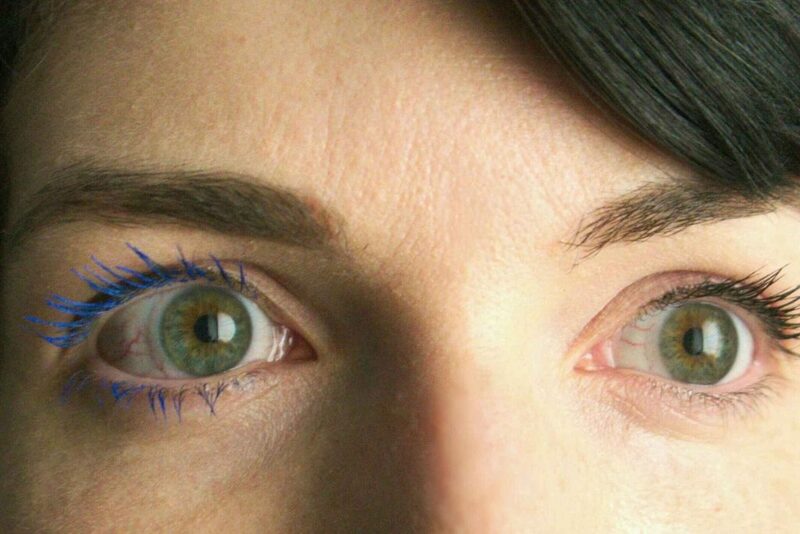 The blue mascara looks really beautiful on you Christina, and very striking with your eye colour. 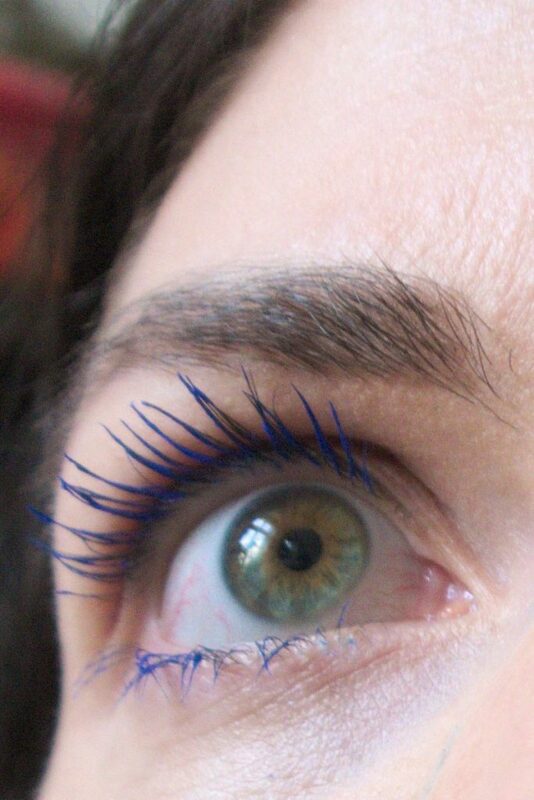 It’s a shame the purple mascara didn’t show up on your lashes, but at least you discovered the blue one really works. I don’t wear coloured mascara normally, but it would be a nice change for an extra glamorous look. Thank you Katie! I’m glad you liked this review. Have a lovely day! 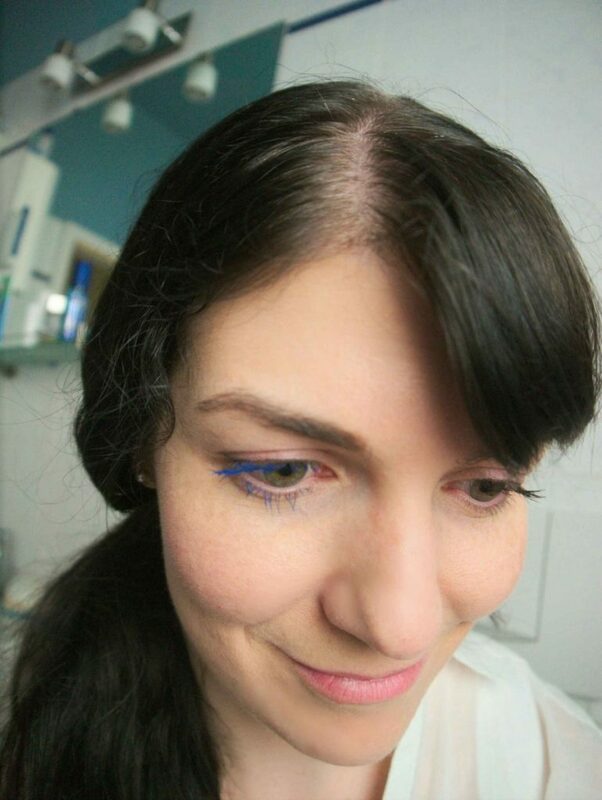 Ich benutze gern die Isadora Mascara Extra Volume Waterproof Ocean Blue. Yves Saint Laurent wäre mir zu teuer. Ich wünsche Dir einen angenehmen Abend. Ja, der Preis ist wirklich etwas hoch. Die Isadora Mascara muss ich dann mal ausprobieren! Danke für den Tip. Die Farben sehen sehr interessant aus. Habe selbst noch nie eine Farbige Mascara getragen. Finde deinen Bericht klasse. Vielen lieben Dank! Es freut mich, dass das Review dir gefallen hat. Loved the color on you :) Gorgeous! Ansonsten habe ich auch schon die Erfahrung gemacht, dass die Farbigen manchmal einfach nicht “knallen”, gerade auch bei den Hochpreisigen. Wobei ich es manchmal auch schön finde, wenn die Mascara einfach nur die Augenfarbe betont, ohne selbst aufzufallen. Schwarz ist mir oft zu hart.